Taking an adult online driver education course is the easiest and fastest way to get your requirements out of the way so you can start driving with your license. Aspiring new young drivers, who are 18 to 24 year old's can earn their drivers license in Texas with just completing 6-hour driving online course. Texas adult drivers ed course is mandated by Texas Department of Public Safety and by the State Law (House Bill 2730). The eligibility for this 6-hour adult drivers ed - Must be 18 years old prior to start the course. By taking this course you also get to bypass the DPS written exam, so you don’t have to wait in line or deal with any of the hassles; you can do it from the comfort of your home. Applicants who don't have a drivers license and who are new to Texas State can also register Texas adult drivers ed course. Taking this Adult Driving course makes you exempt from the DPS written exam and if you are 25 or older you will not have to take a driving test either. 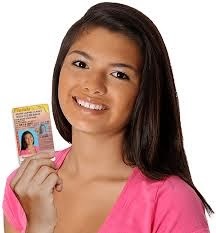 This online course is approved statewide by the Texas Education Agency (T.E.A) for all 18 to 24 year olds who want to get their license, so it meets everything you need to get your driver's license. This course is offered to anyone from 18 to 24 years of age and it also qualifies you to take your DPS written exam online, so you don’t have to wait at DPS in line with everyone else. The course content is filled with Graphics, 3-D animations, and videos throughout course that keeps you engaged while you work, so there is no chance of getting bored. Since this is a six hour driving course, you can finish the course within a day. The TX Adult Drivers Ed online course consists of nine units that focus on all the important issues that affect drivers every day. At the end of each unit has a 10-question quiz that you must get a 70% on to proceed, but you can take them an unlimited amount of times. Taking Adult Drivers Ed Texas online course is really easy! Plus, final course exam in the course counts as the written exam at the DPS! 1. Enroll & Complete the Course. The final exam for this course replaces the DPS written test, so you won’t have to take it. And you only need a 70% to pass the final exam and can take it multiple times for free to ensure your success. This means that you can avoid all the lines and hassles of the DPS office and do it all from home. Then you just need to take your certificate to the DPS, pass the vision test and you can drive off with your license! Your certificate of completion is processed the very day that you finish this adult online driver education course, so you can start driving as soon as possible. Take your written DPS exam online when you enroll in and complete our Texas Adult Driver Education course! That means, once you pass our course, you’re ready to take your vision and driving test at the DPS and get your license. Save yourself some time and enroll in our course!